The trailer of The Past is wonderfully scary, Releaseing On 11th May - The Past ( Film 2018).. Horror films are a rarity in India. A lot of them even borrow their plots from Hollywood films and do not offer anything in terms of novelty. A horror film cannot survive on the strength of shock value. It also needs a gripping story to deliver the chills to the audience. A well-thought out screenplay and a generous dose of horror cinema tropes is a sure shot way to petrify the audience, in a good way of course. 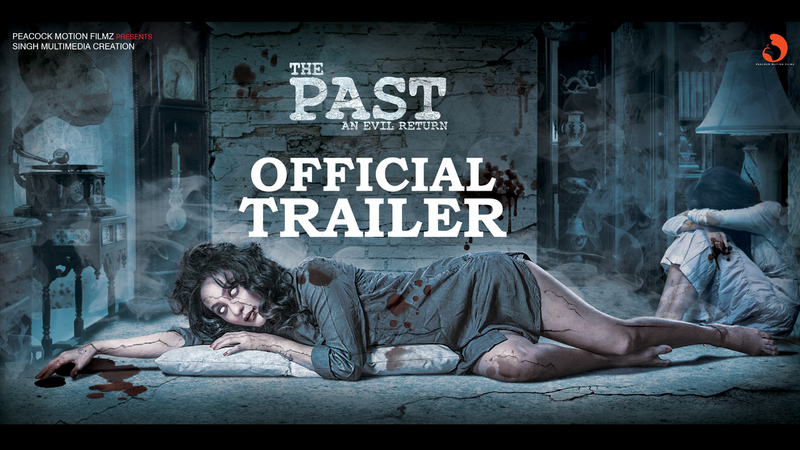 If one goes by the trailer of 'The Past', it seems the makers of the film has cracked that formula and have put together a good package of an engaging story and thrilling elements to make a horror film. The trailer prominently features a young girl whose face is not revealed in the beginning. We just hear her saying a few lines in English. The same lines set the tone for the eerie and dark setting of the film which revolves around the strange happenings in a house. Then, one sees a variety of visuals featuring the other actors in the film and the things that happen to them throughout the course of the film. "The secret lies in the past", says the voiceover and that indicates the aforementioned incidents happen as a result of some wrongdoing in the past. The trailer gives us a sense of the film without revealing much about the plot.